Although site operators retain overall responsibility for health and safety provisions on site, individual workers also contribute to raising standards. By law every worker must be properly trained and equipped to complete duties safely – so general site safety awareness training is essential. To help establish an industry-recognised standard, the Construction Skills Certification Scheme (CSCS) was introduced. The CSCS scheme is a basic specification designed to help construction workers operate more safely on site, and to reassure employers that they have a good understanding of the health and safety issues related to their role. Before earning a CSCS card, construction workers must first complete the CITB (Construction Industry Training Board) Health and safety awareness course and pass a short written health and safety test. Targeted squarely at construction industry workers, the CITB course ensures that participants have the skills and knowledge they need to comply with health and safety legislation as it applies to the building industry. Along with a basic overview of legal responsibilities, workers will learn the importance of risk assessments, and the application of COSHH regulations. On the more practical side, the CITB course will help them understand the use of Personal Protective Equipment (PPE), manual handling, working at height and safe practices when dealing with electricity and electrical equipment on site. Even before achieving full CSCS-qualified status, workers will already be able to work more safely on construction sites. The CITB exam is also an essential pre-requisite for obtaining a green CSCS Site Labourers card, confirming that students have properly grasped the concepts being taught. The CITB training course is also a low cost introduction to health and safety responsibilities for site managers and foremen. It is hardly surprising then that an increasing number of employers are demanding all workers hold the applicable CSCS card before being allowed on site. 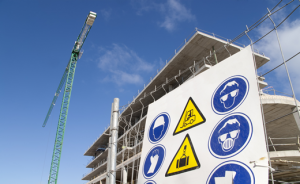 Where construction workers are routinely denied site access if they lack a hard hat and steel toe-capped boots, CSCS cards are also increasingly seen as an essential item of safety equipment. There are over 1.9 million registered CSCS cardholders in the UK – a number that continues to grow as employers and workers alike realise the benefits of being qualified. Does your business demand all onsite workers to hold CSCS cards? If not, why not? For more information about the CSCS card and how it can help your business or career, please visit our CSCS page.